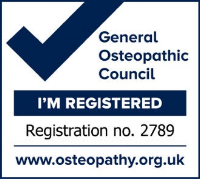 In my Osteopathic practice l treat people from all walks of life, of all ages, and those who suffer with a wide variety of musculoskeletal conditions. From new born babies to the elderly, from the sedentary office worker to the active builder and from the less active person to the elite athlete. Many desk based workers benefit from Osteopathic treatment both for acute and chronic injuries. Many people also benefit from occasional maintenance treatment to prevent against the dangers of sedentary work. I aim to improve and maintain mobility and body health, helping patients stay out of pain. I treat athletes of all levels from the elite athlete to the novice. I aim to not only guide the patient back to fitness after injury, but also help them achieve their potential, and prevent future injury. I understand the passion and desire to make sporting aspirations a reality. 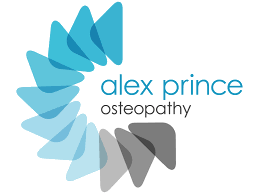 I have experience treating babies and young children, using Cranial Osteopathy. This is a very rewarding part of my Osteopathic work. Helping the very young overcome some of their early challenges is a wonderful gift and great privilege. As we get older the body can loose flexibility and suffers varying degrees of wear and tear (arthritic changes). Osteopathy can give great relief to people with general aches and pains, as well as alleviating the symptoms of arthritic conditions. By gently mobilising affected areas, Osteopathy can improve the health and comfort of painful joints and muscles.